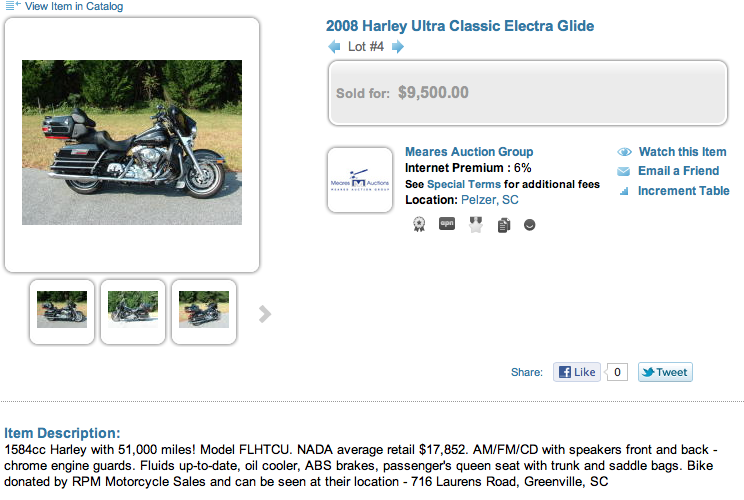 Case Study: Harley Davidson Motorcycle | Meares and Associates, LLC. This entry was posted in Case Studies, Event Prep, Fundraising and tagged auction, Bowtie Benefits, darron meares, Fundraising, harley, internet auctions, proxibid. Bookmark the permalink.